Take up to 60% off a selection of men's, women's, and kids' apparel, shoes, and accessories during Amazon's Memorial Day Sale. Prime members qualify for free shipping, and non-members can spend $49 or more to qualify for free shipping; otherwise, shipping starts around $5. Discounted brands include adidas, Calvin Klein, Nine West, and Tommy Hilfiger. PLUS 50 FREE 4×6 Photo Prints from Amazon Prints when you use promo code 50FREE at checkout! Save over $100 on select items! Discounted items include electronics, refrigerators, ranges, washers, dryers, and microwaves. Take up to 50% off a selection of men's, women's, and kids' apparel, shoes, gear, and accessories at Cabela's. Shipping starts at $5.95, but orders of $99 or more bag free shipping and an additional 10% off with coupon code "57SALUTE". Save an additional 35% off sitewide with the coupon code: MEMORIALDAY at checkout. Shop Danskin.com for Memorial Day and see 25% off site-wide savings. Memorial Day Markdowns! Save up to 88% on Select Goods! 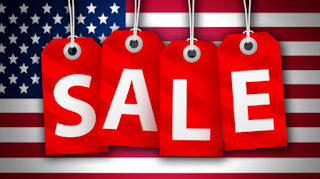 Memorial Day Savings on outdoor items plus free shipping on most deals. Get up to 40% off select appliances, grills, lighting, tools, home improvement items, and more as part of its Memorial Day Sale. Take an additional 35% off already discounted prices plus free shipping! Use promo code MD35 at checkout. Save 50% off sitewide. Plus $2 tanks for everyone and $1 flip-flops for cardholders. Extra 30% OFF the Entire Site and 50% off clearance! Just enter promo code MEM17 at checkout! Memorial Day BOGO Sale: Buy one get one 50% off on select styles. The Memorial Day Home Sale is in full swing at Sam's Club! Find firecracker-hot deals on the brands you love. Plus save up to $1,200 with the Memorial Day Home Sale at Sam's Club! Be sure to also check out their new Daily Deals! Samsonite is offering 30% off sitewide! Use promo code MAYSALE. Take an extra 25% off all sale items with promo code HELLOSUMMER. Save 40% off select styles via coupon code "SAVE40". Plus shipping is free. 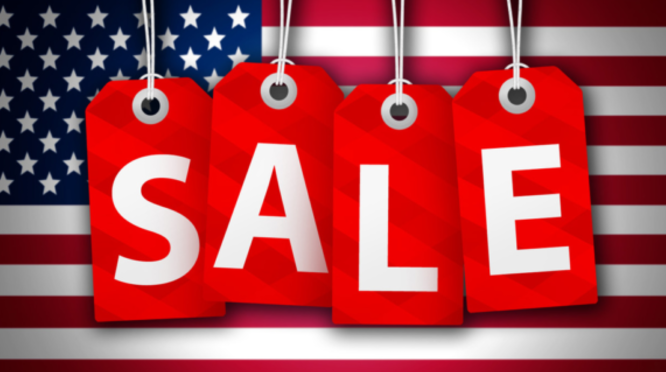 Save on a selection of mattresses, mattress toppers, bed frames, and more during its Memorial Day Mattress Sale. Prices start at $15, and shipping adds $4.97, but orders of $50 or more bag free shipping. Plus, select items may be available for in-store pickup. Prices up to 75% off plus free shipping when you spend $50 or order more than 1 item.